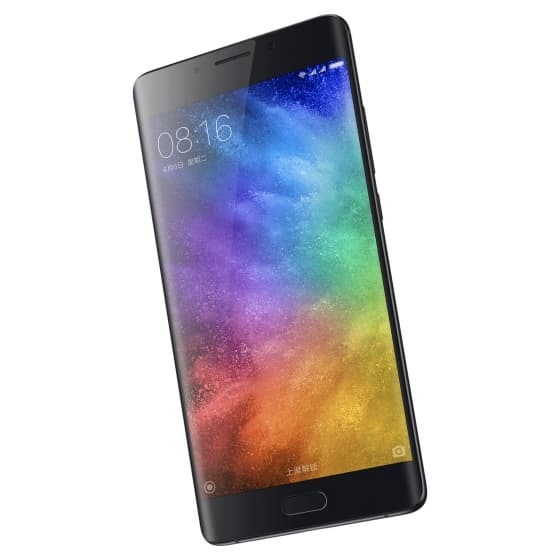 Xiaomi Mi Note 2 (Special Edition) - Price, specs revealed! The Chinese electronics major Xiaomi, also known as the 'Apple of China', has launched a special edition of its Mi Note 2 phone. This new model is equipped with powerful hardware and is available with a price tag of 2899 yuan, which converts approximately to Rs. 27.5K. Earlier today, there was a rumor that Xiaomi would announce a 'third' brand under its umbrella; but Xiaomi surprised everyone by announcing the Mi Note 2. Unfortunately, the only color option available is 'Bright Black' and there is no word whether there will be Bright Silver Black and Glacier Silver color option will be available. Xiaomi had launched the original Mi Note 2 back in October last year and it boasted a Samsung like dual-edged curved glass display. Other specifications of the phone remain the same; but are quite impressive for the price at which it is being made available. Most important and notable specs include 5.7" curved glass, 22.56MP rear shooter with dual-tone flash, 8MP selfie camera with autofocus. At its heart, the phone relies on Snapdragon 821 clocked at 2.35 GHz and the graphics is handled by Adreno 530 processor. The phone supports Global LTE bands. Like most of the recent phones from Xiaomi, the new Mi Note 2 special edition has a fingerprint sensor and IR blaster. The phone makes use of USB Type-C port for charging and wired connectivity. The phone also supports GPS, AGPS, GLONASS and BeiDou positioning for location services. In the sensors department, the Mi Note 2 has Gyroscope, Accelerometer, Proximity Sensor, Ambient Light Sensor, Hall Sensor, and Electronic compass and a barometer. The phone ships with a power adapter, a USB type-C charging cable and a SIM insertion tool. At the time of writing this update, we do not have information whether the phone will make it to Indian markets and at what price. If it does, we'd expect the price to be in the Rs. 25K - 30K range or lesser. Do you think the latest Mi Note 2 has and edge over its competition? Let us know your views through comments below. Update: While we talk about Xiaomi, the Indian consumers who are out in the market to look for a Xiaomi device; please hold on till July 18th. The rumor has it that Xiaomi will launch Mi Max 2 in India. While there is no clear information on the price of the phone, I'd expect it to be around Rs. 17K; which would still be a steal deal. The only problem in buying Xiaomi phones in India is that the company sells them through 'Flash Sale' mechanism on Amazon. From our own experience, unless you are absolutely lucky on the D-day, it'd take you about 3-4 attempts to buy the phone. Do you think Mi Max2 is a better option over its competition for those who're looking for a big screened phone? Let me know.